From Metro Living for Robert Kaufman fabrics. 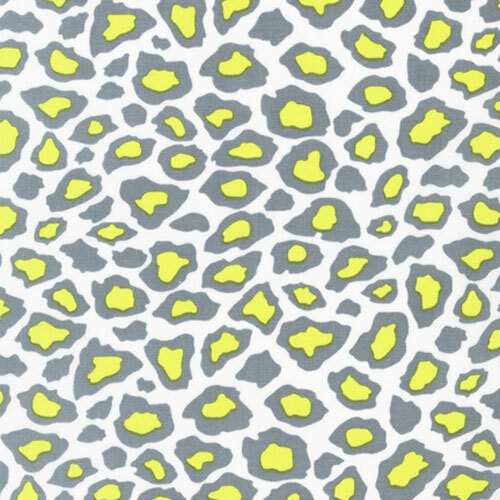 Grey, yellow and white cheetah print. Suitable for quilting or clothing. Perfect for decorating your teen bedroom.